Dayton, OH—At a gathering of more than 1,100 farmers and local food advocates, U.S. Senator Sherrod Brown (D-OH) received the Food and Farm Champion Award from the Ohio Ecological Food and Farm Association (OEFFA). 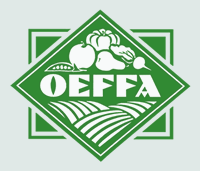 The announcement was made in Dayton on Friday, February 16 as part of OEFFA’s 39th annual conference, A Taste for Change. 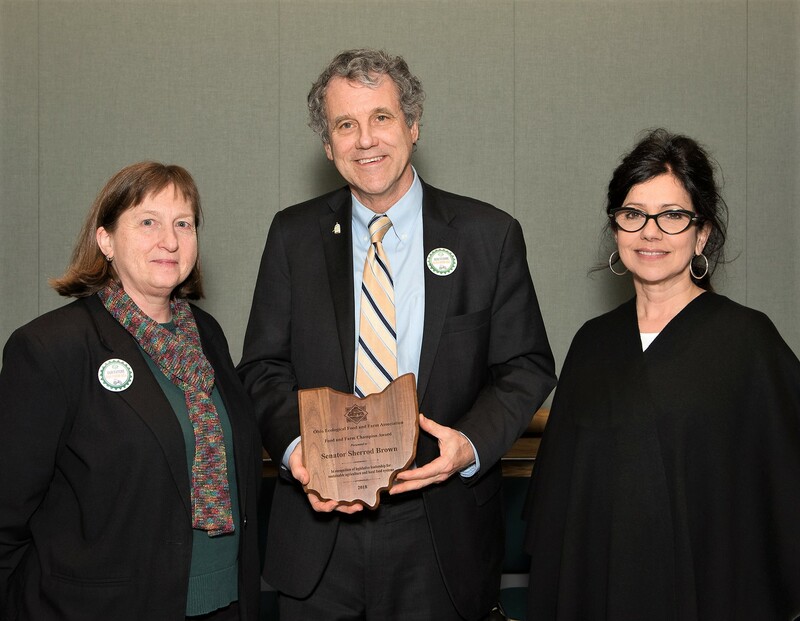 The award recognizes Senator Brown’s commitment to sustainable agriculture and his leadership in making positive investments in local food systems, community economic development, and public health. “Senator Brown has consistently supported investments in local and regional food systems that contribute to farmer viability, create jobs, and improve public health,” said OEFFA’s Policy Program Coordinator Amalie Lipstreu, who presented the award. “Local farmers feed Ohio families and grow Ohio’s economy. I’m proud to work with partners like OEFFA to help connect family farms with their communities, grow their bottom lines, and create jobs across our state. It’s an honor to receive the Food and Farm Champion award,” said Senator Brown, who provided remarks to the conference’s 1,100 guests. Ohio is home to 24 local food councils, a state food policy network, and a growing number of farm to institution programs, food hubs, and direct to consumer outlets. Senator Brown’s farm bill advocacy efforts have supported more than 90 food system projects and resulted in more than $7 million dollars in investments in Ohio’s communities. For example, the Lake to River Food Cooperative established a food hub and a shared retail space, the Youngstown Online Market pick-up site, which helps farmers market their products through a shared online platform. Senator Brown serves on the Senate Agriculture, Nutrition, and Forestry Committee, where he has been instrumental in strengthening the farm safety net and addressing childhood hunger. “OEFFA is pleased to recognize Senator Brown’s leadership and looks forward to continue working with him in the future,” said Lipstreu. Since 1979, the Ohio Ecological Food and Farm Association (OEFFA) has been working to build a healthy food system that brings prosperity to family farmers, meets the growing consumer demand for local food, creates economic opportunities for our rural communities, and safeguards the environment. For more information, go to www.oeffa.org. For high resolution photos of Senator Brown’s appearance at the OEFFA conference, please contact Lauren Ketcham at (614) 947-1643 or lauren@oeffa.org. Please provide photo credit: Ed Chen.